If you get behind the wheel, chances are high that 10,000 other people are also doing so simultaneously and they’re ALL heading in your same direction. Highways? Clogged. Lanes? Closed. Construction is bringing everything and everyone to a halt. Consider yourself a lucky speed-demon if you’re inching toward your destination at three miles per hour. I know it’s hard to stay positive when your lower back is screaming, your kids are screaming, and your bladder, well, it’s screaming (HELP!) too. That’s why I’m offering you the following advice. You need to get a new car. Before you get upset about this and start furiously crunching the numbers, hear me out. Because I’ve done the research and the results suggest that there are better ways to get around this planet. 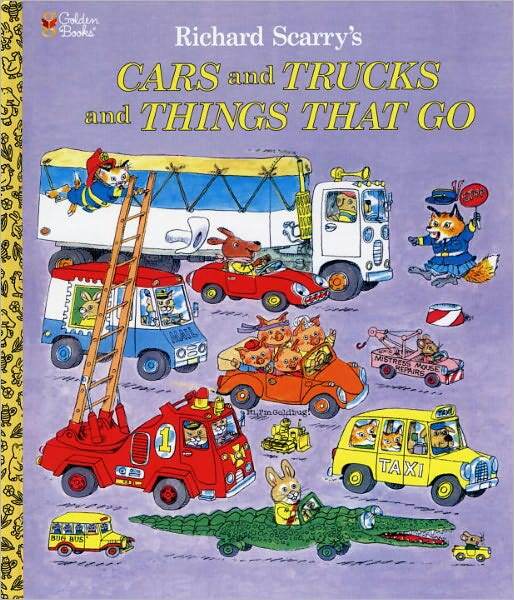 The answers, my friends, can be found on the pages of one genius book: Richard Scarry’s 1974 classic, Cars and Trucks and Things That Go. The Pencil Car: Just think, if you were stuck on the highway in this you could easily jot down your grocery list or maybe even compose your memoir. Don’t worry about stopping for gas because this runs on lead. And if you make a driving mistake? Just erase it. The Pickle Car: If you pay close attention, and you are very dill-igent, this car will lead you to every deli along your route. This has been voted the Number One “Late Night Snack Auto” by the National Alliance of Pregnant Women. 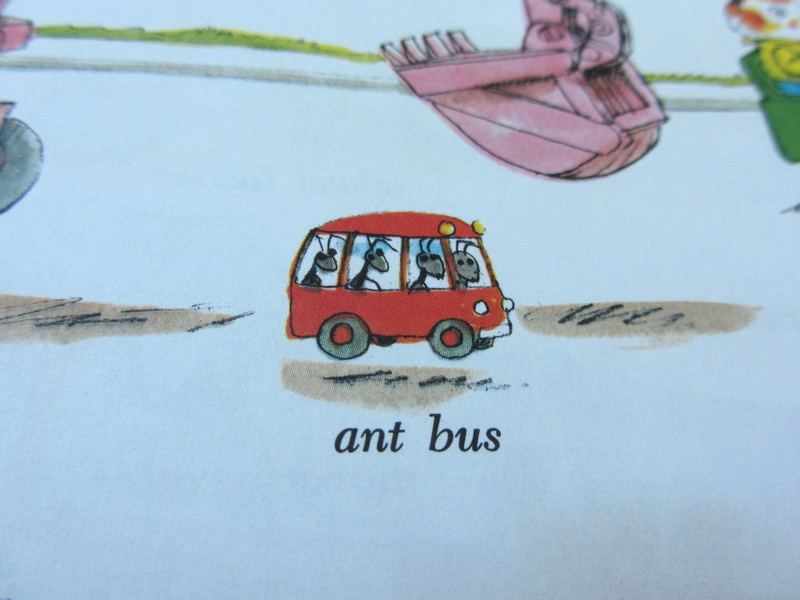 The Ant Bus: This is for those of you who have ever found yourself feeling judgmental (or envious) of motorcycles, which are small and wily enough to illegally speed forward between two lanes of stopped cars. 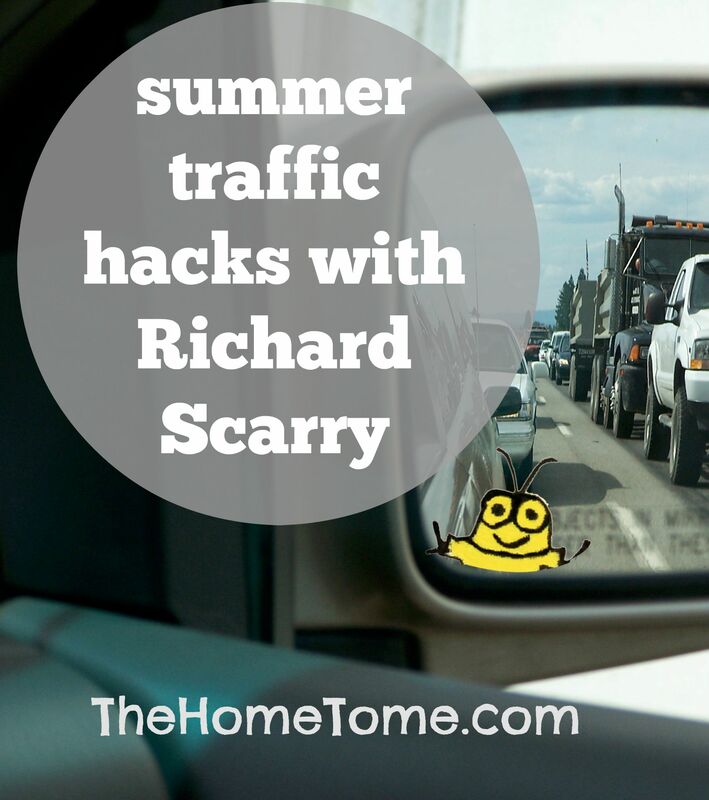 In order to catch some of their tailwind, just shrink yourself down to the size of an ant and hop in! 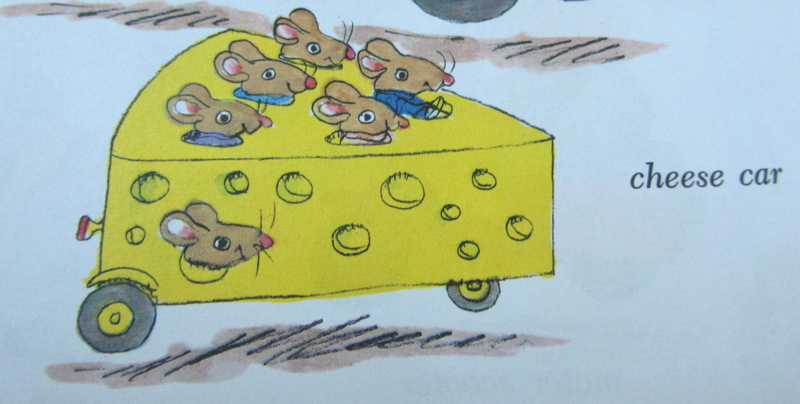 The Cheese Car: Very aerodynamic and built to be shared. Don’t forget to pack crackers for all your friends. Battery-Powered Car: Way back in 1974, Scarry certainly had his finger on the pulse of something on this one. What he might not have predicted is how you can conveniently charge all your devices while you ride. So, which car is it going to be for you? 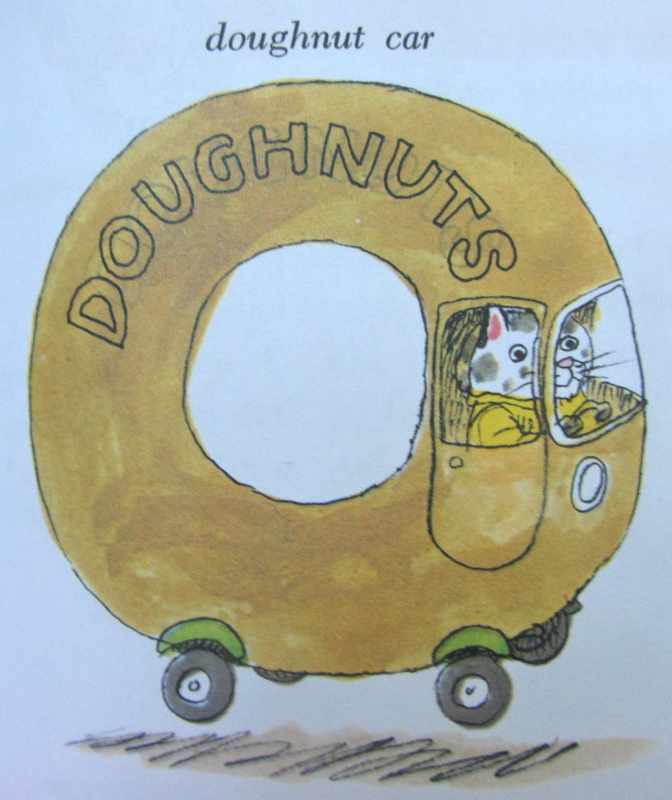 I’m obviously choosing the doughnut car for our next trip, because that’s how I…roll. See you on the road! Wondering why I know so much about this book? Because I have now read it approximately 5,176 times with our two year old son. (Thank you to our friends Danielle and Chase for the gift!) We have gotten hours of entertainment from this one book – there is so much to look at on each page and that little Goldbug is pretty much a family member at this point. I highly recommend this for your child or for a baby/toddler gift. Speaking of trips, have you ever tried to pack your luggage with a toddler underfoot? 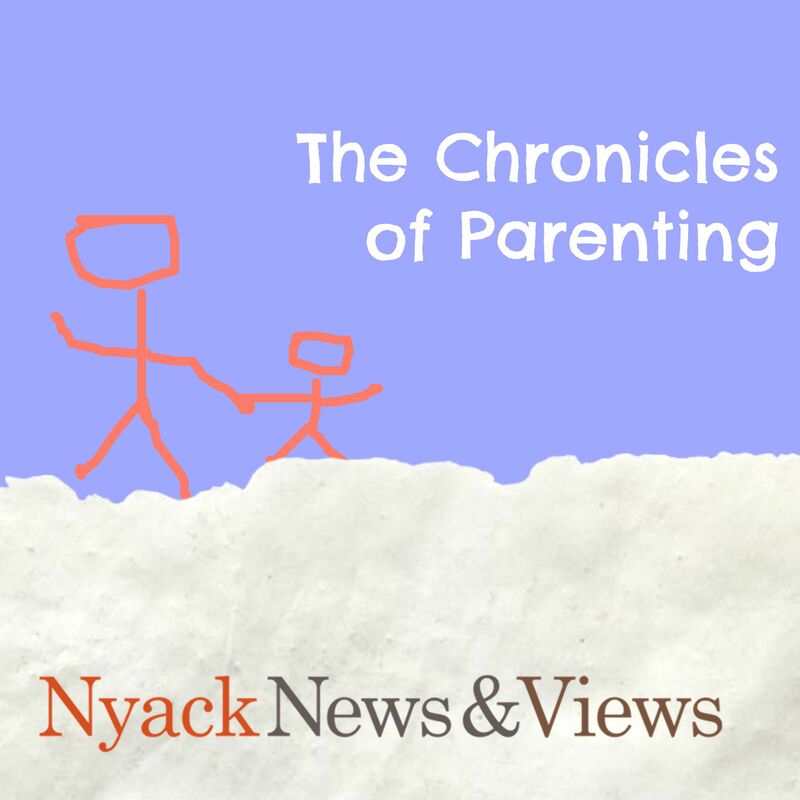 Here is the newest edition of the Chronicles of Parenting, my humor column at Nyack News and Views. And if you’d like more home tome, vroom on over to my TWITTER account or my FACEBOOK page. Love that book. I think I’d pick the pickle car. I’m always hungry on the road. 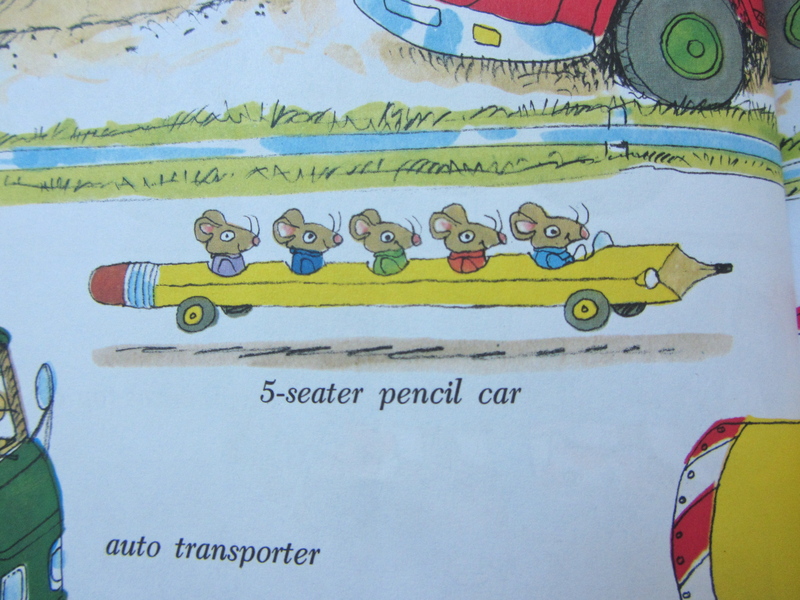 Love Richard Scarry! So much to see in his books. Definitely riding the cheese car. Clever post! Oh I am so definitely going with the cheese car. But I want the whole wheel. 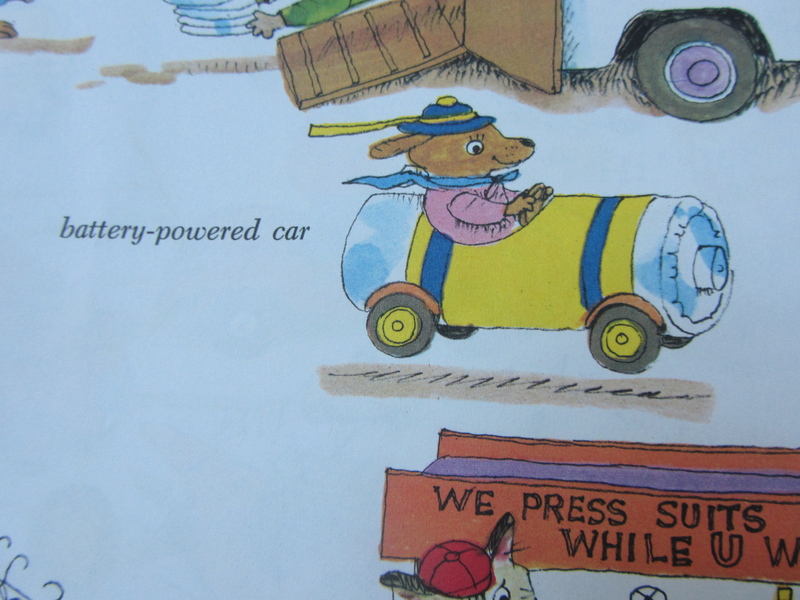 Love Richard Scarry! Yes, go for for the whole wheel…that will be a smooth ride…thanks for checking in! 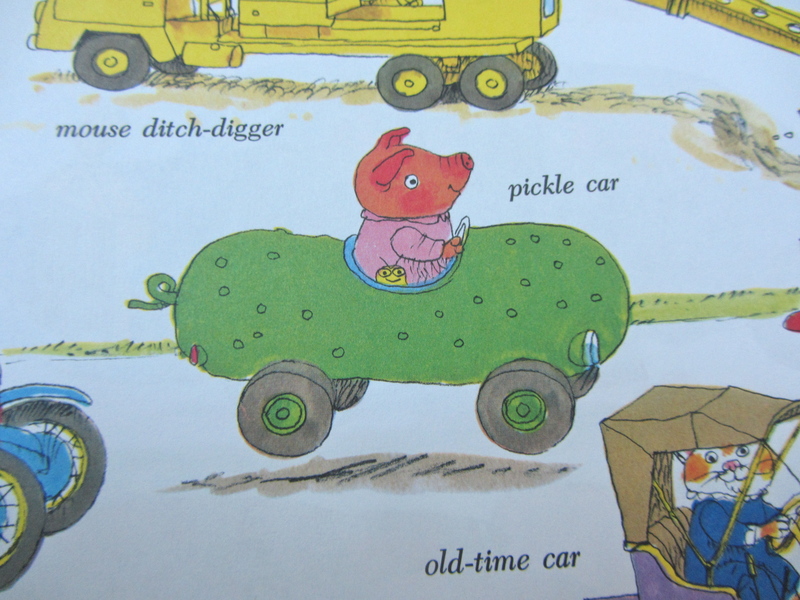 Love Richard Scarry and I would like to drive a pickle car please. 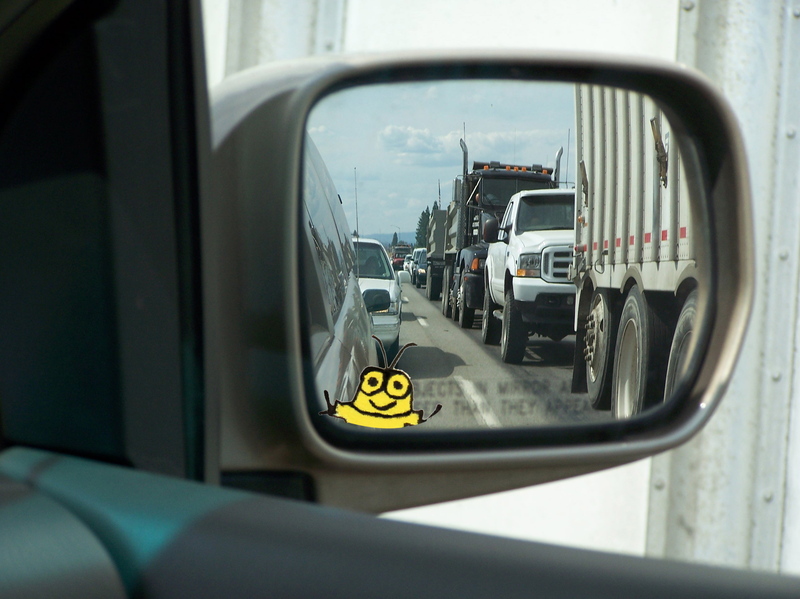 I laughed when I saw Goldbug in the side mirror!